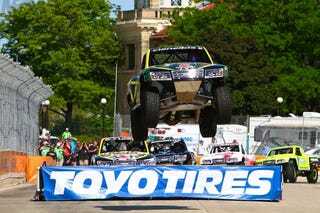 This weekend brings us TUSC and IndyCar racing in Detroit, but not before the Stadium Super Trucks had a go. And the SSTs are the only ones that truly fly. Halston Pitman over at Motorsport Media caught them in all their crazy, silly, amazing glory.